When I heard the news of Saudi Arabia bailing out Pakistan’s ailing economy, which is on the verge of an collapse, I was stupefied. I wasn’t surprised because Pakistan finally got a loan from a source other than the International Monetary Fund (IMF), which for sure won’t be enough to completely pull it out of the deep economic crisis, but because just a few weeks ago Saudi Arabia had said a blatant no to Pakistan. The kingdom’s sudden decision to deposit $3bn for one year as balance of payment support and deferring payment facility for import of oil up to $3bn, has come as a big shock. Agreements in this regard were signed on October 23 on the sidelines of the second edition of the annual Future Investment Initiative (FII) Conference in Riyadh. The Pakistani delegation was led by Prime Minister Imran Khan. How ‘desperate’ Imran Khan shamelessly ignored Jamal Khashoggi’s Killing? 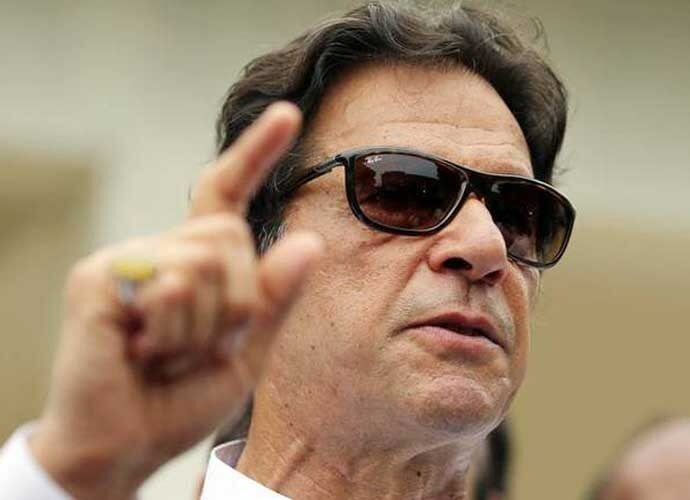 Before travelling for the conference to Riyadh, Prime Minister Imran Khan told UK-based media outlet, Middle East Eye, that the country is so “desperate” at the moment that unless it get loans from friendly countries or the IMF, it would run out of foreign exchange to service debts or pay for imports in two to three months. On the one hand, when global business leaders, policymakers, media moguls and tech executives decided to boycott Saudi Arabia and its crown prince, Mohammed bin Salman (MBS), along with the Future Investment Initiative (FII), nicknamed Davos in the Desert, over the killing of The Washington Post columnist Jamal Khashoggi at the Saudi consulate in Istanbul, Imran Khan told the Middle East Eye that despite the murder, he won’t ignore Saudi Arabia and MBS and will attend the conference in Riyadh. This after UK trade secretary Liam Fox, US treasury secretary Steven Mnuchin, French finance minister Bruno Le Maire, Dutch finance minister Wopke Hoekstra and many other key figures from Europe pulled out of the conference. The list of withdrawals didn’t end here; CNBC, Bloomberg, CNN, Financial Times and even Fox Business Network joined the list of boycotters. Despite this, Imran Khan chose to attend the investment conference to beg in front of the kingdom. Asking international lending institutions for monetary help is always a better option for a nation-state than its Prime Minister going on his knees and begging from other countries. Khan’s visit to Saudi Arabia has totally ruined the self-esteem of Pakistan. Imran Khan is a champion at taking U-turns. U-turns are so common in Khan’s life that his critics call him “U-turn Khan”. First, his lofty claims of not approaching the IMF for a bailout fell down like a house of cards when finance minister Asad Umar announced on October 8 that the government is left with no option than ask IMF for a dollar injection, and then the big U-turn after begging in front of Riyadh. 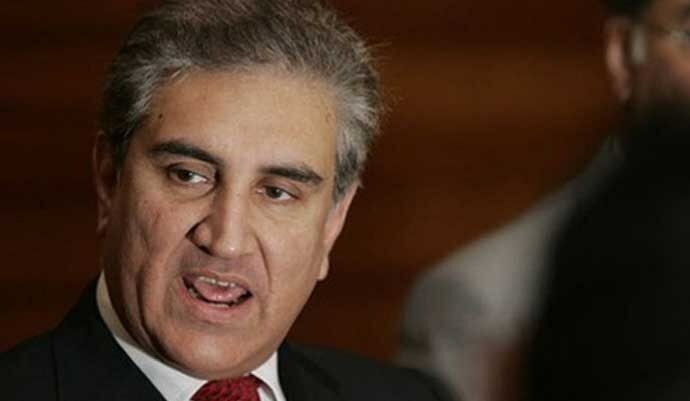 When minister of foreign affairs Shah Mehmood Qureshi was asked by journalists about the conditions on which Saudi Arabia agreed to lend Pakistan, he said that the kingdom attached no conditions to the $6.2 billion package. He also added that the relations between Pakistan and Saudi Arabia are longstanding and not dependent on any single event. When the same questions were put before finance minister Asad Umar, he said the same thing. As I stated above that Imran Khan and his cabinet ministers are good at nothing but taking U-turns; they could well tell us very soon that conditions were indeed attached. 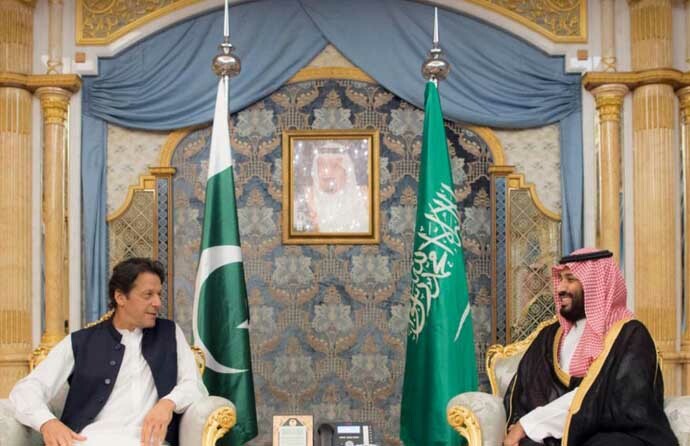 In the televised address to the nation after his successful begging journey to Riyadh, PM Khan said that Pakistan will play the role of a mediator in the Saudi-Yemen war and will make all-out efforts to resolve the conflict. To add weight to his nonsense, he added loftier promises to it by saying that his government will do its best as a mediator to bring all Muslim nations on the same page. Imran Khan and his men are not only unable to solve the country’s economic problems, but are also adding to it. History shows that Pakistan has suffered whenever it intervened in the internal or inter-country conflicts and problems. Imran Khan himself has accepted that on many occasions. For example, while addressing the Defence and Martyrs Day ceremony on September 7, he said he was against US war against terrorism from the beginning and that Pakistan will not become part of a war of other countries in its own interest. What if Saudi Arabia has asked Pakistan to cooperate in the Yemen war? 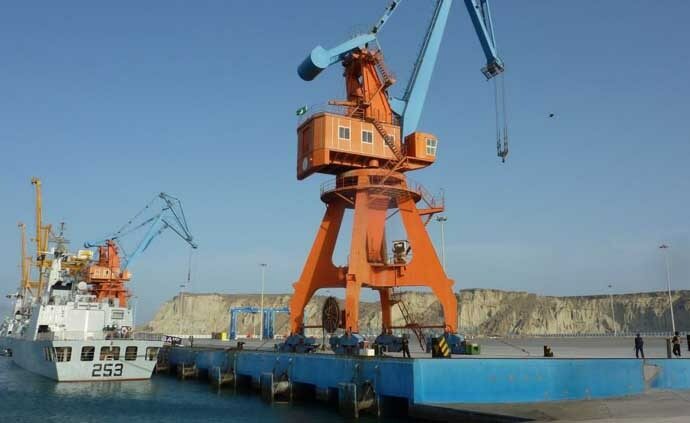 Till today, CPEC deals are a secret and I believe, like many other economists and think-tanks across the world, that China is enmeshing Pakistan in its multi-billion dollar debt trap. During talks with Khan on the sidelines of Davos in the Desert, the Saudi government reaffirmed its interest in setting up an oil refinery in Pakistan. Talks on setting up the refinery had started during Khan’s visit to the Kingdom in September. Later, a Saudi delegation visited Pakistan for studying the prospects of the project. An agreement for setting up of the refinery near Gwadar is expected to be inked between the Pakistan State Oil and Saudi Aramco soon. A Saudi delegation would be invited to visit Pakistan for an exploratory trip after consultations between the federal and provincial government of Balochistan, the foreign office said. Has the Imran Khan government negotiated with neighbouring Iran about the Saudi investment in the province of Balochistan which shares borders with Iran? I don’t think so. In that case Iran will raise concerns over it and things may go out of control in the future. In a statement, PPP senator Raza Rabbani asked the government to take Parliament into confidence regarding the proposed bailout package and the construction of oil refinery in or near Gwadar “in total disregard to Article 172 of the Constitution”. “It is demanded that the government should lay the terms and conditions of the recently concluded financial arrangements between the governments of Pakistan and Saudi Arabia before the Parliament as these agreements will have strategic repercussions for Pakistan and the region,” he said, adding that if there was anything sensitive, then the government could convene in-camera sessions of both the houses either separately or jointly. Has Imran Khan sold Pakistan’s Reko Diq mines for this loan? Saudi officials and businessmen showed interest in Pakistan’s mineral resources development. Imran Khan while speaking at the Future Investment Initiative also pointed out the presence of hefty mineral reserves, which remain untapped in the country. Pakistan Peoples Party senator Mustafa Nawaz Khokhar, who is also the spokesman for PPP chairman Bilawal Bhutto Zardari, said the person who was claiming that he would neither beg nor ask for a loan from anyone was now not only roaming around the world with the begging bowl in his hand but also going from one country to the other and one institution to the other asking for loan and no one was ready to believe him. He said Imran Khan should come to Parliament and tell whether he had sold national asset of Reko Diq mines to get this loan or promised something else. Reko Diq is a large copper mine located in Balochistan. 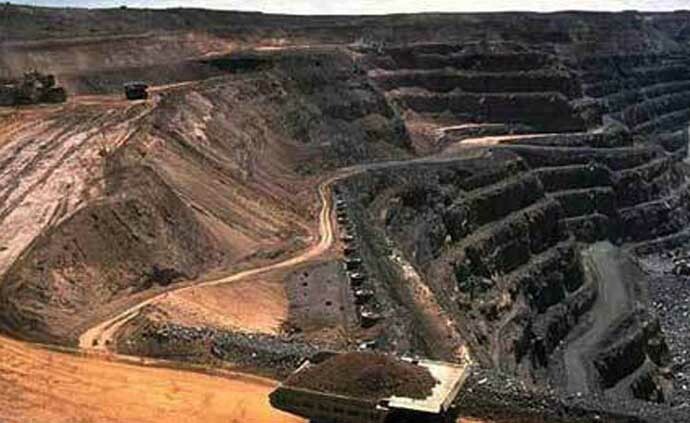 Reko Diq represents one of the largest copper reserves in Pakistan and in the world having an estimated reserve of 5.9 billion tonnes of ore grading 0.41 per cent copper. The mine also has gold reserves amounting to 41.5 million oz. Both Saudi Arabia and China have had their eyes on Reko Diq mines since long. It is possible that Saudi Arabia has been given permission from Imran Khan government to explore the valuable minerals from this site. If it is true, then things are just not moving in the right direction. I mean for the sake of obtaining a $3billion cash and $3billion of oil imports on deferred payments, has Imran Khan really sold out Reqo Diq to Saui Arabia! Did Benjamin Netanyahu visit Pakistan? According to Israel’s top newspaper Haaretz’s editor Avi Scharf, a flight from Israeli capital Tel Aviv landed in Islamabad, stayed on the ground for 10 hours and then flew back to Tel Aviv. Remember, all this happened just after Imran Khan attended the Future Investment Initiative. Avi Scharf tweeted from his official handle on October 25. Also The Spectator Index tweeted the next day that Israeli PM Netanyahu has made a secret visit to a country that does not have diplomatic relations with Israel. Just one minute after the tweet, The Spectator Index tweeted again and said that the Israeli PM Netanyahu is visiting Oman. But what about the tweet posted by Avi Scharf? Haaretz also reported on October 27 that Netanyahu flew to Oman, which neighbours Iran on October 25 and spent the night there before returning to Israel. While Saudi Arabia and Israel do not have any official diplomatic relations, many news reports have surfaced in the past indicating extensive behind-the-scene diplomatic and intelligence cooperation between the two countries against regional enemy Iran. If PM Israel actually made a surprise visit to Pakistan, just like he made to Oman (neighbour of Iran), something is really cooking up in the most important geostrategic location on the globe. It could be possible that Saudi Arabia bailed Pakistan out in return of its support to counter Iran’s influence in the region. And therefore it first got permission to build a refinery in Balochistan (near Iran) and permissions for mineral exploration in Reqo Diq mines. Furthermore, may be Saudi Arabia used this opportunity to push Pakistan close to Israel to further its and Israel’s interest to counter Iran’s influence in the region. It is true that information minister Fawad Chaudhry denied the news, but that denial was without any proof. Pakistan Civil Aviation Authority also categorically denied the news of Israeli jet landing in Islamabad but again it did that without a substantial proof in its clarification statement which was tweeted by the government of Pakistan’s official Twitter handle. I will close by saying that it is high time for Imran Khan to disclose the conditions on which Saudi Arabia extended financial support to Pakistan; when just a few weeks ago it wasn’t in a mood to give even a single penny to the country. People might say that Saudis supported Pakistan because Imran Khan attended the FII conference at Riyadh amid an outcry over Khashoggi’s murder, but it is also possible that the kingdom took advantage of Pakistan’s financial situation. Even US President Trump hasn’t been very harsh on Saudis in the aftermath of Khashoggi’s murder saying that the $110bn arms deal with kingdom won’t be revoked. It is thus surprising that Saudis would go out of their way to seek Pakistan’s support to prove itself innocent.